A glance at his discography reveals a couple of telltale titles, including his 2015 release, The Black Lodge, and the upcoming album The Widow's Son, announced for the new year. 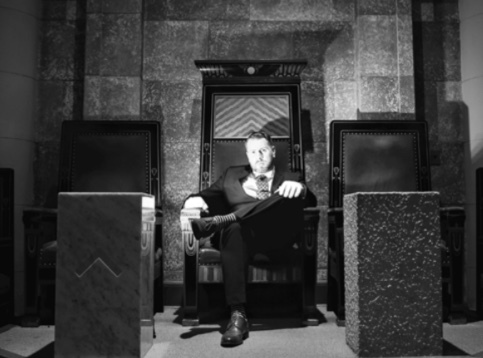 His 2014 video The Grand Leveler features wall to wall Masonic symbolism, and is largely shot in a lodge. 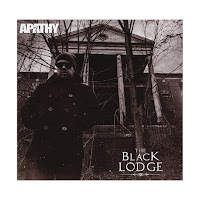 At least Brother Apathy's Masonic allusions in his work are bona fide, unlike so many other musicians like Beyoncé, Lady Gaga, Jay Z, and others displaying 'Illuminati' symbols and references without knowing a single thing about them, in some marketing attempt to be 'edgy.' In real life, I understand Bromley is quite contemplative and truly practices the precepts of the fraternity. That's both refreshing and reassuring. He is a member of Wooster Lodge No. 10 in Colchester, CT, and is also affiliated with Brainard No. 102 in Niantic. 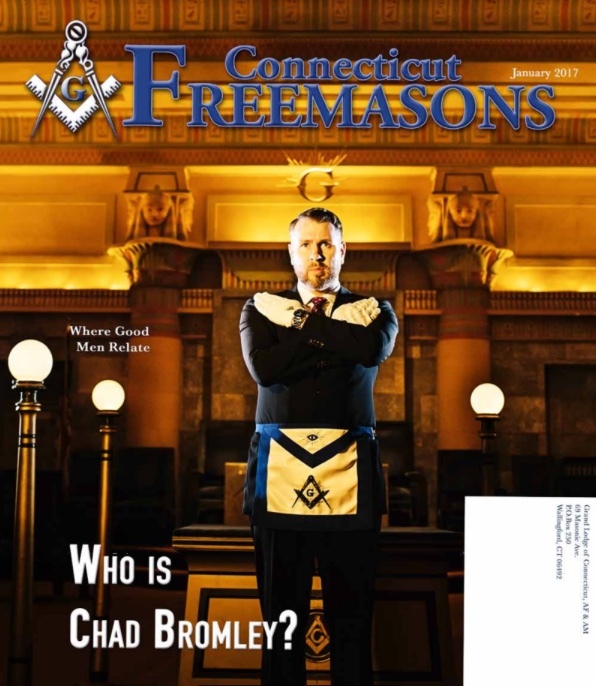 The January 2017 issue of Connecticut Freemasons has been put online and can be seen HERE. The interview with Brother Chad Bromley by Ryan Howard begins on page 3 and continues on page 6. "I’m very unapologetic about the profanity and adult material in my music. It’s entertainment. It’s my career...and I know what I’m doing. I’m a professional at what I do. Some brothers have had issues with my songs that have foul language or violence. But if Robert DeNiro was a Master Mason, those same brothers wouldn’t say a thing to him about cursing and violence in his movies. It’s the exact same thing. Entertainment and art." Freemasonry isn’t a fast food, microwaved experience. You don’t join a lodge, and they hand you over some ancient book of secret esoteric wisdom and hidden truths. That book doesn’t exist. Freemasonry is completely what YOU make it. If you joined because you read a Dan Brown novel, or saw a crazy YouTube video...you’ll probably be bored after the first year, and end up not coming back to lodge. You have to make connections with like minded brothers... travel. Fall in love with the words, lectures, ideals, morality and work of the craft. Don’t be stagnant, just showing up to business meetings and degree after degree and wonder why you’re bored. There’s so much to learn and see. It just takes a lot of work. But it’s worth it. So its cool in Connecticut, but when Mason Knight makes rap music he gets expelled by his Worshipful Master and then castigated by the brethren for making music. More things that dont make sense. I did not know Mason Kinght was expelled great brother. I would very much like to learn more about this. That is awesome that he made this. Freemasonry as an institution all over the states is dying off. Wit him actually declaring that he is a Brother, really bring Freemasonry back to the forefront. I will use that Rap Grand Leveler as a tool to show EA's and FC's that there is more that meets the eye. We need for rappers to break it down and we need to do away with Cowans and eavesdroppers in the rap industry playing "Mason" but who are not Masons. I believe the word you're grappling with is "dumb." Seems to be exploiting Freemasonry more than anything. 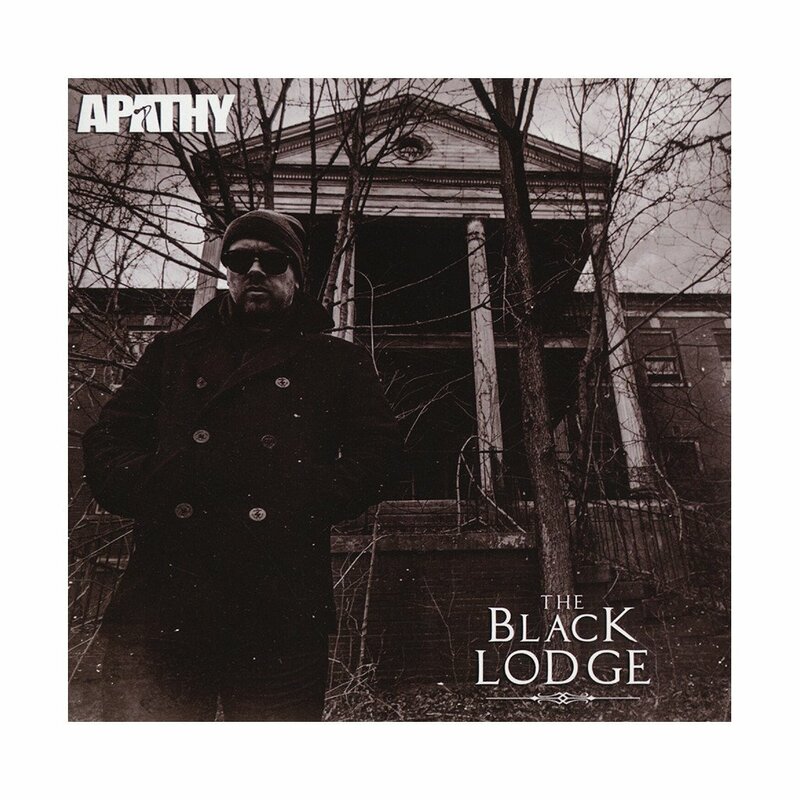 I would agree if him being the "rapping mason" and not a clever lyricist were the biggest selling point of Apathy's music.